Locks & keys form the lifeline of commercial security. They protect your premises from unauthorized entry, safeguard crucial documents, files and other valuable assets and help create a safe and happy work environment. Where there are locks & keys, there are also locksmiths – individuals who’re entrusted with the huge responsibility of protecting your property from unwarranted threats using everything their craft has taught them. While there are many locksmiths out there, finding the best among the lot is always a daunting challenge. With experience comes proficiency – and that’s one vital component you need to look out for. As a business owner yourself, you might know what it takes to build a positive reputation. If a firm has the reputation to prove its worth, pick it. Do they live up to their claims? Can you rely on them when you need them the most? 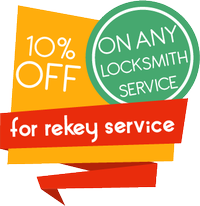 Look around for recommendations and shared experiences before hiring locksmiths. You might require assistance past midnight or schedule a service as per convenience. Locksmiths need to be accessible all the time. Check for 24-hour facility. True, you can’t put a price tag on business security; however, you need to steer clear of overcharging locksmiths. Look for firms offering upfront prices and flat rates. 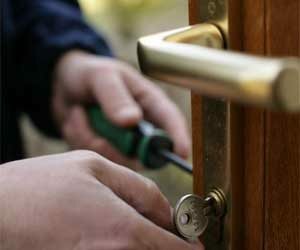 Checking all the above pointers is Tucson Locksmith Store – a tried and tested firm that has survived the tough competition and emerged as a leader in providing world-class services to business clients in Tucson, AZ area. Ask our past clients, if you don’t believe we’re as good as we say we are. Security being paramount to your business, we offer free consultations and audits that will help you get a clear picture of where you stand. Any upgrades/ modifications to your existing set up are then made. Need a spare key to hand out to an employee? Or want a security grill installed? We offer all the standardized lock & key services your business might need. Office lockouts can lead to a direct loss in productivity and in turn take a toll on the revenues. We specialize in offering speedy solutions and help restore normalcy to daily business operations. To maintain commercial security at its optimum levels, you can hire our locksmiths on a contractual basis, to provide regular maintenance services. We can be the locksmithing partner you’re looking for! Dial 520-226-3044 for more information!